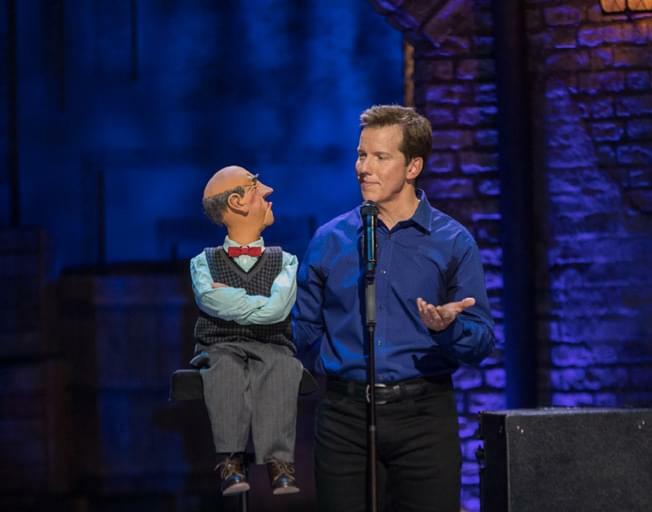 Superstar Comedian and Ventriloquist Jeff Dunham will be in Champaign January 12th, and B104 wants to send YOU! And NOW, coming to the State Farm Center in Champaign on January 12th! Win tickets to his Passively Aggressive Tour with Faith & Hunter in the morning all next week! Tune in at 7:30 when the B104 Ticket Window opens, be caller 9 when you hear the cue to call at 821-1041, and win a pair of tickets! With Bloomington-Normal’s #1 Country, B104!